Winner challenge #55: Seeing red! Deborah here for you today with a super fun NEW Challenge #56! 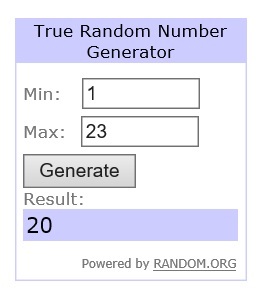 Thank you to all who participated in the last challenge in our Facebook Group, the winner will be chosen by random.org and will be announced on Monday October 31th. Did you already started on your Christmas cards? Well, I did! Just take your Christmas or winter stuff and start creating those winter wishes! So that can't be difficult. I made this card with traditional Christmas colours featuring the stampset "Santa Paws" by Kraftin' Kimmie Stamps and I used some paper by My Mind's Eye "Sugar Plum". To enter, just put your picture in the correct folder in the photo section of our Facebook Group before the end of November 27. The winner will be announced on November 30. 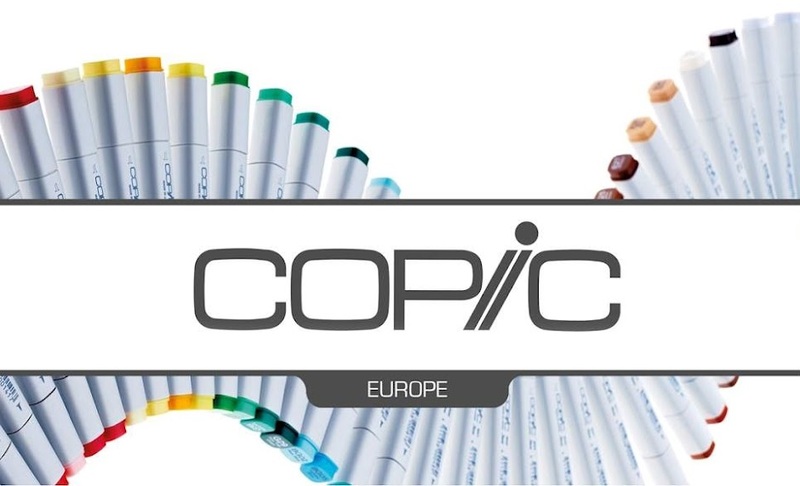 Please be aware that only entries from those living in Europe, North Africa and the Middle East are eligible to win, and you're not a member of a Copic DT. 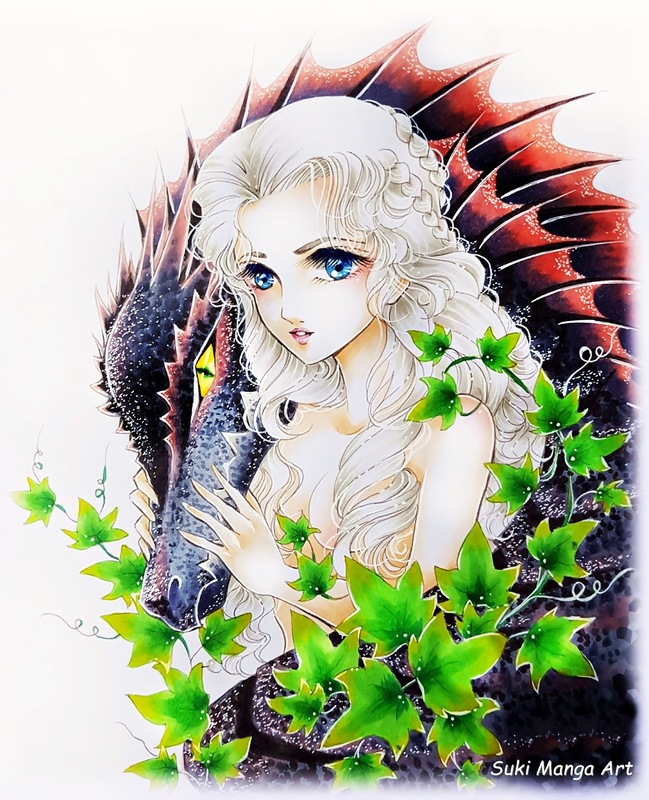 Queen Daenerys Targaryen, one of the main characters of Game of Thrones. 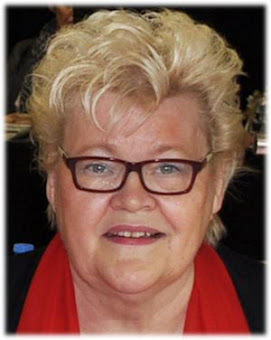 She is a fictional character created by George R.R, Martin. I used a white ink pen to add little details. Hello everyone! 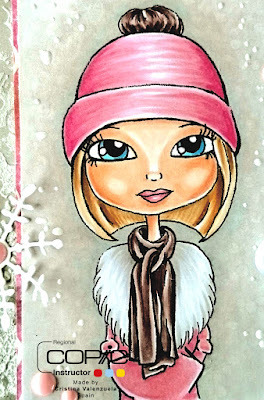 It's Delphine here today to share a Christmas card - not here yet, but it's coming fast now! 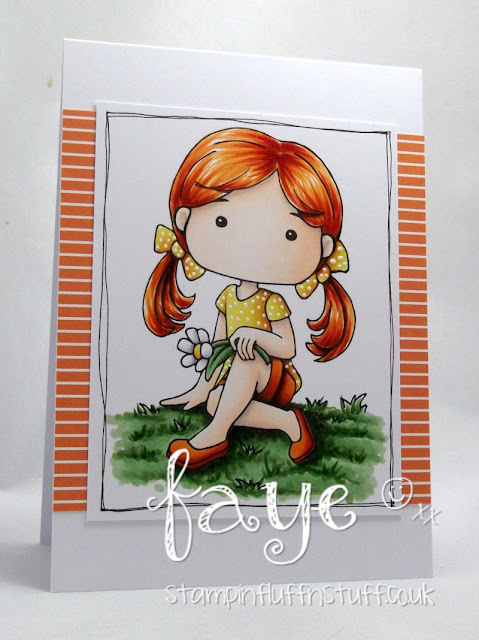 The character I used is from the Kraftin' Kimmie Stamps set called Heavenly Holiday, stamped in Memento Tuxedo Black and coloured in Copics of course. To match my image, I picked a sentiment from the Christmas Blessings Sentiments set by Kraftin' Kimmie Stamps too, and I stamped it in Versafine on a piece of Stamperia DP. I added a bit of gold on the edges of my paper using a Pitt Pen. For a little finishing touch, I added two little star chipboard from my Make it Crafty Mini Stars Chipboard Tinklings sets, coloured with a gold pen and covered in Wink of Stella. 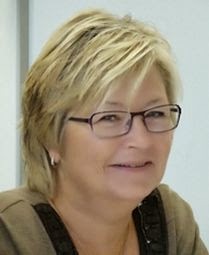 It´s time for me, Christina, to blog for CME. 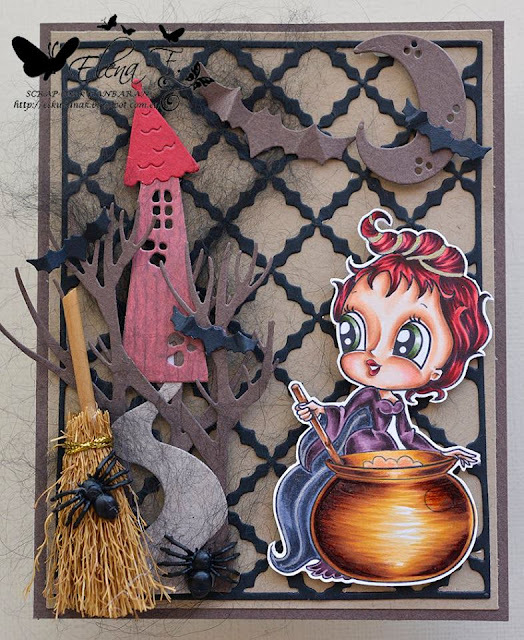 This time I have made a baby card! Baby Twins! A boy and a girl, Alba and Francesco! This card will travel all the way from Sweden to Italy! I have used some of my favorite stamps from hÄnglar & stÄnglar, they are so cute. All the design papers are from Maja Design! 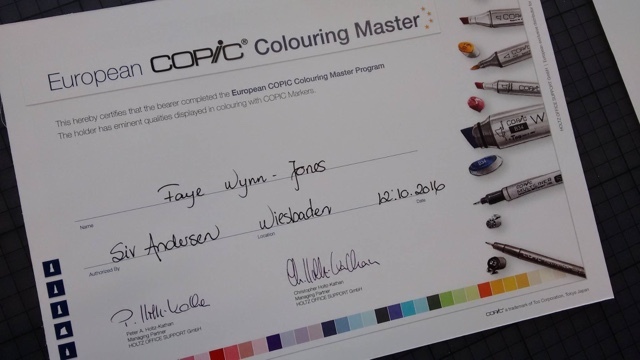 today a small update on the Copic Convention held last week in the beautiful headquarter of Company Holtz GmbH in Wiesbaden Germany. 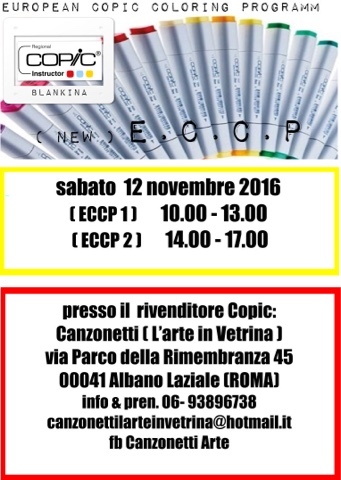 All Copic Instructors of Europe and the Middle East are invited to come together for meetings, inspiration and having a good time together. 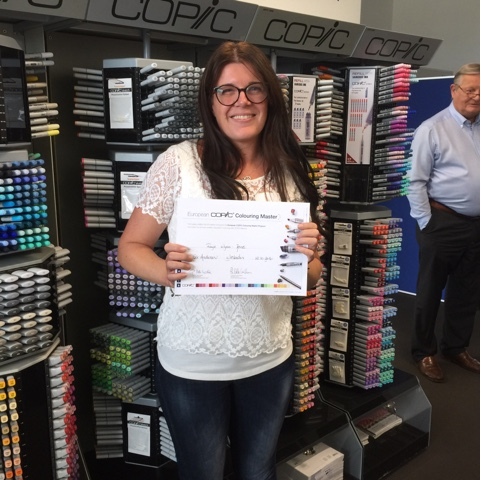 Together with the Norwegian Instructor Siv Ella Andersen she renewed the EECP and made this unique colouring program for papercrafters fit for the upcoming years. Both ladies thanks from us all. 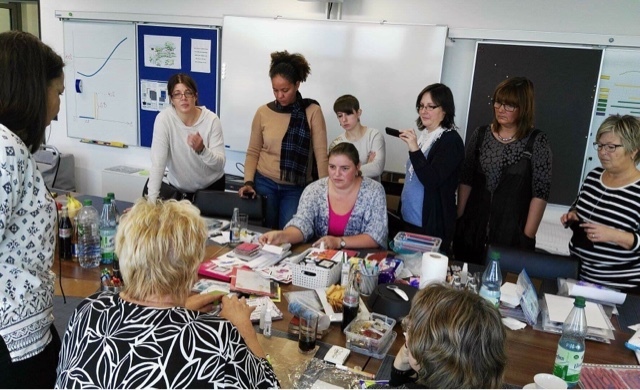 People in the UK taking classes with Faye are in the best hands available. She also was teaching classes during a retrait if Whimsy Stamps in Florida, USA, you see we have an Intercontinental girl in our DT. 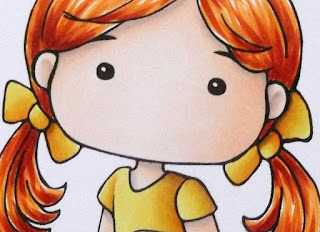 I'm Cristina Valenzuela, this is my card, with tag shape, for this month at Copic Europe Blog. I used papers from American Crafts, and the stamp is from Doodle Stamps, I love all these big eyed girls, She is "baby, it's cold outside". I used a lot of frantage embossing powder and modeling paste on the backgrounds for each paper and layer. Skin: E000, E00, E02, E11. Brown scarf: E74, E71, E70. Hat and jacket: R83, RV32, RV34. So, Autumn is here, but I'm not ready to say goodbye to summer yet. I thought I'd make a compromise and use this summery image from Little Miss Muffet Stamps, with some autumn colours. 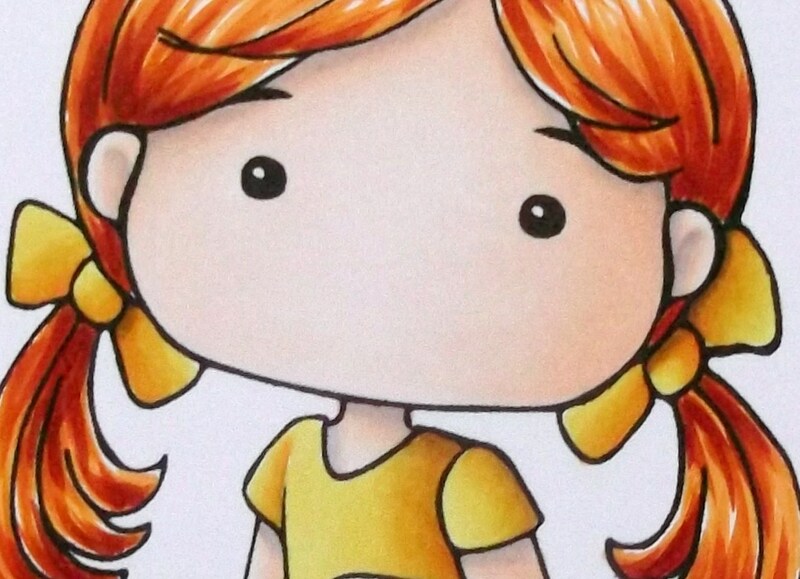 I love colouring redheads, this is a new blend for me, along with the pale skin. It's good to play around with different colours from time to time. Some of the best results come from happy accidents! This is Sarit for some colour inspiration. 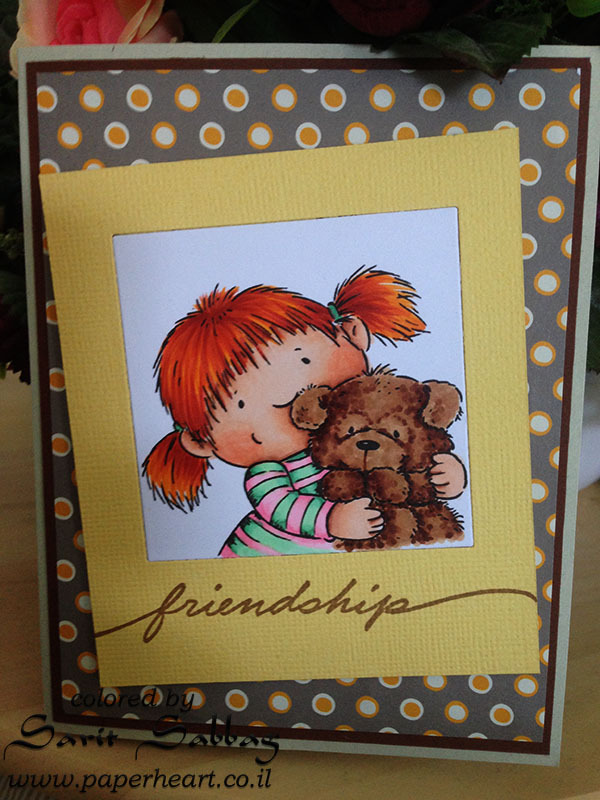 Today I want to share a friendship card. 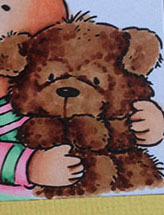 Who doesn't love a teddy bear hug? When my daughter was little she had a favourite stuffed animal. She went to sleep hugging it. 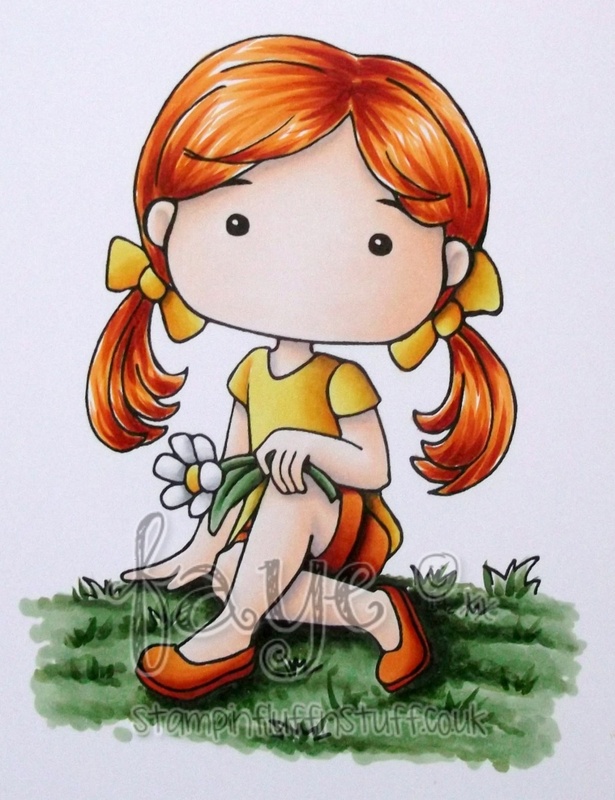 This cute digi stamp from Kanban remains me of her special friend. There are several ways to "make" fur. I used dot colouring to emphasis the fur. I coloured the bear with basic colour coat and the shading I made with dots. Today I've a Christmas card for you all. 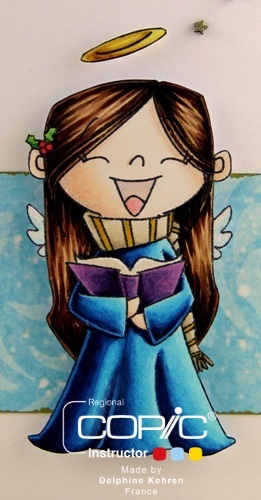 With a beautiful girl from The East Wind, she's called "Baby, it's cold outside". Because it fits perfectly with the design paper from Studio Light. I hope you like it, see you soon. A few of my favourite things are art journalling, colouring and animals. And this time I was able to combine the 3 of them. I used this wonderful image by Tanya Bond called the Bunnykeeper. I started with the E50 and add a thin layer on all the skin parts of this image. For the 2nd layer I used the E51 to add some shading. I do not worry about the marker stripes you see in the photograph. I will add many many more layers and in the end I will blend all the layers together. After the E50 and 51 I used my BV000 for some more shading especially where the eyesockets are , under the nose and on the chin and on both sides of the face and the neck. More shading under the nose with the W3. I used the W3 for the neck and the eyes as well. To add some more warmth to the skin I add a thin layer of E00 and now it is time to blend all layers together with the E0000. I thought it would be nice to give the bunnykeeper purple hair and eyes. I used BV01, 02, 04, 08 and V17. This is how the bunnykeeper looks with purple hair and eyes and I like it a lot. Now it's time to colour the bunnies. For the purple one I used the same colours as for the hair, BV01, 02, 04, 08 and V17. For the blue bunny I used B12, 14, 16, 18. And for the golden-yellow bunny I used Y21,26,28, 35 and E08. I used the image in my square art journal on a Dylusions background.